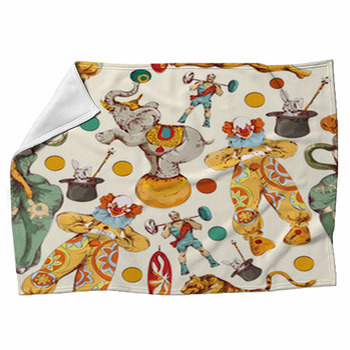 Clowns are pure fun, reminding us of the innocence of childhood. 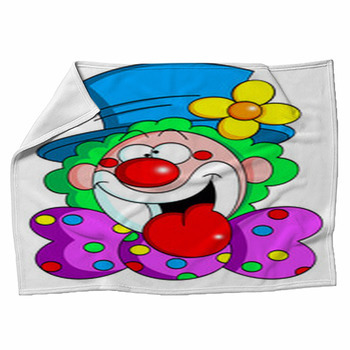 Make your home a funnier, happier place with our custom clown blankets. 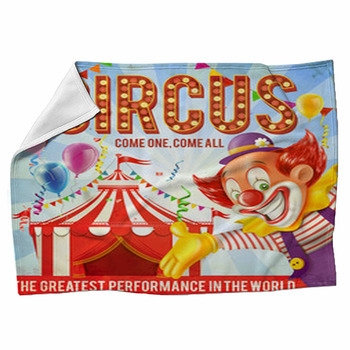 Do you remember the first time you went to the circus and saw these comedians, or was it at a party? 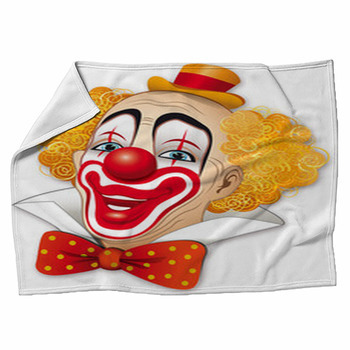 When people dress up in ridiculous costumes and do silly things, it relaxes us from our daily stresses to be like everyone else. 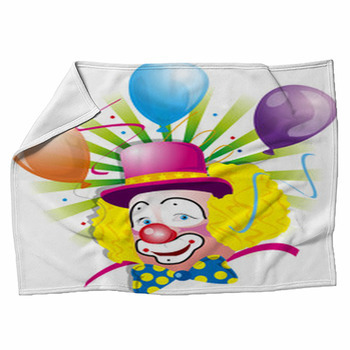 Unleash your inner comedian by decorating your home with blankets displaying three kids dressed as clowns, with classic red clown noses and pink, orange and rainbow colored hair, an illustrated waving clown with a pinwheel on his head, a giant bowtie, a mini trumpet and a yellow balloon, or a comedian in a red and white polka dot jumpsuit and jesters hat tossing balloons into the air as he dances on one foot. 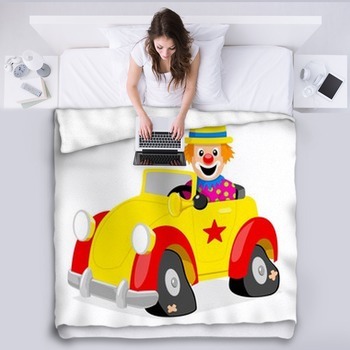 Or do you prefer a clown throw blanket featuring a female comedian in a sparkling hat beginning to make an animal out of a balloon, a comedian holding up a blank memo board that you can add a message to, a pretty lady wearing a Santa hat and clown nose with her hands to her cheeks and mouth agape in surprise, a sad faced clown with pink hair performing at an outdoor event, or a figurine of an old-fashioned hobo clown? 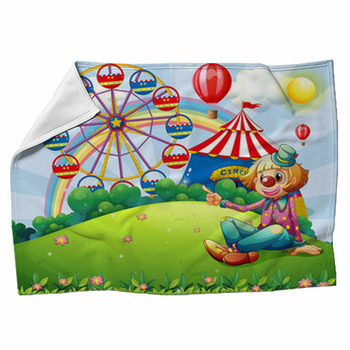 How about a roly-poly toy clown holding its round belly, three happy clowns in bright yellow outfits playing with a toy blue hammer, an illustrated clown standing on top of a toy horse, or a photographic image of two goofy clowns holding a bottle of soda and a strip of yellow tape that says Party Zone. 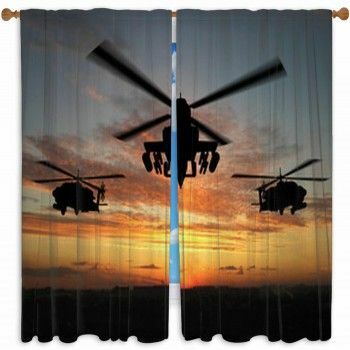 There are a lot of images to choose from and you'll be able to decorate your home from window curtains to blankets. 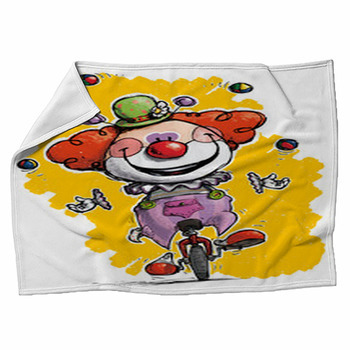 Whether its for you, your kids or your nieces and nephews, our clown blankets will bring joy and playfulness into your room and to your life.